The Kranich II is 619.4 KB. Larger files take longer to load. This is the Kranich II listing page, here you can download the plan, article and see the main thumbnail and extra images. 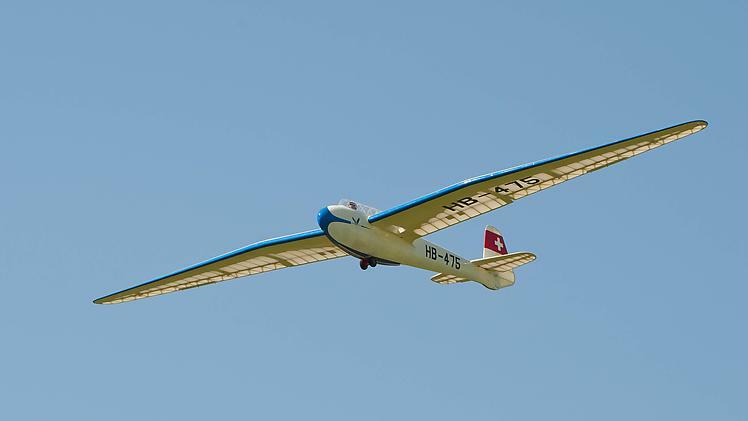 The DFS Kranich is a type of German glider. 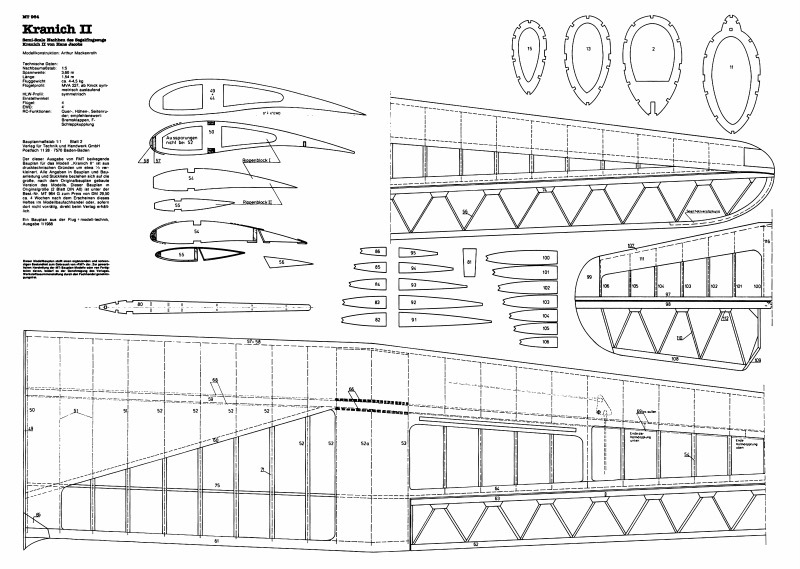 It was developed by Hans Jacobs for the Deutsche Forschungsanstalt für Segelflug (DFS). Series production of the Kranich (Crane) took place in the aircraft division of Karl Schweyer AG in Mannheim. The two-seater was, in its version 2, the most widely built two-seat glider in Germany from 1935 to 1939. Several hundred examples were built; exact numbers are not known. On 11 October 1940 Erich Klöckner in a Kranich achieved the record height in a glider of 11,460 m. Because it occurred in wartime, the altitude record was not recognized by the Allied occupying powers, and Klöckner only received official recognition by the Fédération Aéronautique Internationale (FAI) in the late 1990s. This record height was only exceeded ten years after the flight by the American Bill Ivans during a similar scientific program in the Sierra Nevada. These are the details for the "Kranich II" plan. If you would like to become a plan editor and help us to edit the attributes of all the plans in the website please click the "Edit Attributes" button below. Order your Kranich II prints today! The Kranich II plan can be printed on plain paper, tracing paper or polyester film and shipped worldwide. Scale: The original wingspan for this model is 141.7 in. / 360 cm. Please Change the values below to order in a different wingspan. This tool allows you to calculate the cost of printing and shipping the Kranich II plans and its building article if available. If you need to resize a plan please contact us with the ID:97396 and the desired wingspan. I will calculate a price upon request, please contact me here mentioning this PlanID: 97396 and the job you wish me to do. 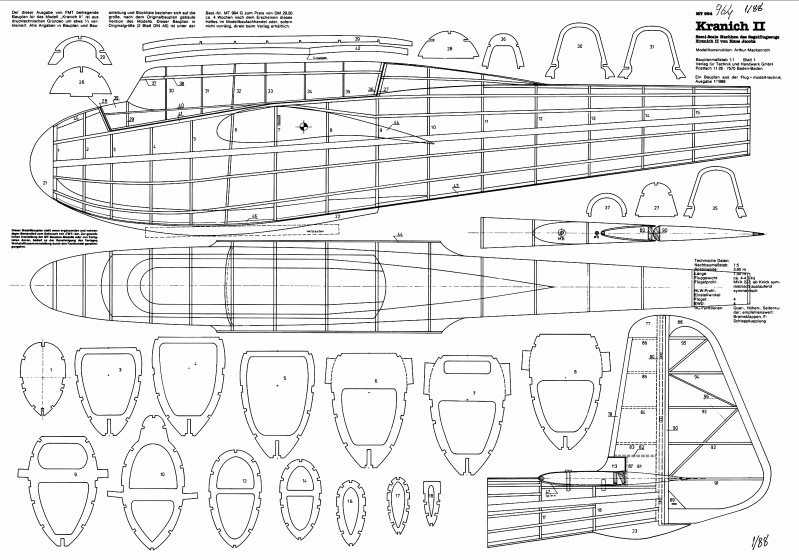 This plan is 619.4 KB and was shared by our member conny on 15/11/2016 07:22 in the PDF Bitmap Wood Model Airplane Plans (1) category. It has been downloaded 748 times.